Shane Black didn’t just land the job co-writing (with Fred Dekker) and directing The Predator because his career is on an upswing following successful turns writing & directing Iron Man 3 and The Nice Guys, but because he also has intimate knowledge of what makes the franchise a success. 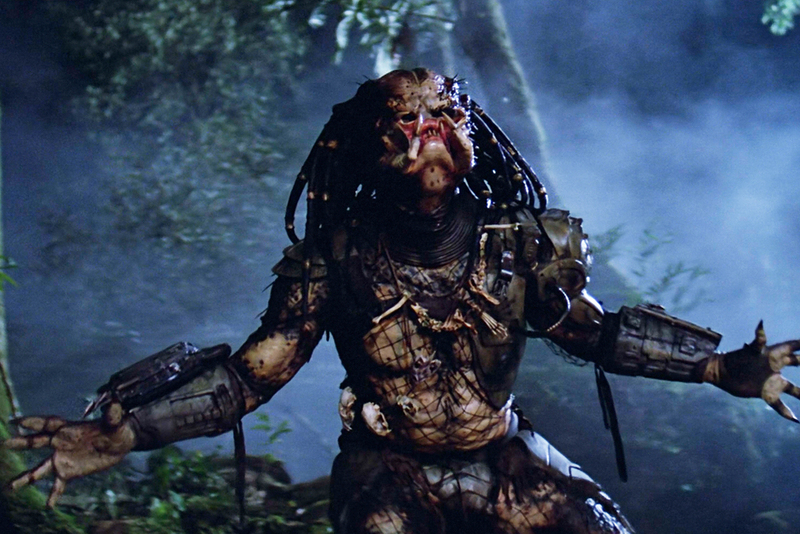 Black was actually one of the original cast members in the seminal 1987 Predator that started it all. Yep, you guessed it, he played “Hawkins,” that skinny, bespectacled member of Dutch’s (Arnold Schwarzenegger) team that liked to tell jokes about, um, kitty cats, and was the first to die. To celebrate the first day of filming, Black tweeted a partial cast photo containing several of the “beautiful human beings” who also happen to be “killers” in this all-new chapter in the Predator series. Details of the plot are sketchy, though a previous report explained that the young son (Jacob Tremblay, pictured above) of an ex-Marine who discovers the aliens is somehow able to communicate with them because of his particular form of autism. Whether that is true or not remains to be seen. We do know, however, that Black is aiming to keep the franchise Rated-R. The cast of The Predator also includes Trevante Rhodes, Olivia Munn, Sterling K. Brown, Keegan-Michael Key and Thomas Jane.